 Tell us a bit about your Personal Training (specializations, certifications, clientele etc...). We'll get back to you right away. At Los Campeones, our personal trainers are running their own businesses, with minimal overhead, which is the rent we charge. Anything above and beyond that is your income, no limits, you make the rules. Maybe your dream is to have your own training center or have employees under you some day? At Los Campeones there is an abundance of support and a sense of belonging as a personal trainer. We are like a big family and we take a lot of pride in what we do, we are all in it together to make each other better. If you’re ready to start your business with Los Campeones, fill out the form below! In the long run there’s no comparison between being an employee and operating your own business. As an employee you’re developing client relationships and referrals for someone else, likely a corporation. All that effort and dedication you put in for years is subject to non-compete clauses and you’re likely to lose everything you had worked for when you decide to move on, perhaps to another gym or even if you start up your own business. Knowing you’re making money for a corporation and that there’s is a cap to your income isn’t exactly motivating but you will tend to generate some income on a more-immediate basis. I started at Los Campeones gym near the end of 2014. At the time I had 3 clients, and was working 3 other jobs to keep up with the bills. Within 2 years I have built my personal training business to more than 30 clients. Los Campeones gym not only provided me a great location to grow my business, but an amazing atmosphere that fosters excellence. This gym has completely changed my life. I am earning more than I ever thought possible, and love what I do. Everyone at Los is supportive and happy to see you grow personally and financially. If you are a trainer in the Minneapolis area, you owe it to yourself to check this place out. Before training at Los Campeones, I loved what I did and I hated where I did it. LA Fitness lacked many important things to me, namely organizational culture and ethics. I started my journey at Los Campeones after meeting with Benjamin and deciding I couldn’t compromise my values any longer. The change that Los Campeones has made in my professional and personal life is something I am extremely grateful for. I have found a place that I feel confident and happy going to every day. I gladly pay rent to a man who cares that I succeed, who clearly loves what he does, who makes me feel secure in my position as a business owner, and that has my back. I would not trade this experience for another opportunity. I am happy, successful and beyond satisfied with Los Campeones. It has given me an entirely new approach to how I work in the gym and my fitness understanding and I can’t wait to see how I continue to grow. Check in on Facebook while working out and we’ll make a donation. Super simple process and then we’ll advise upon a specific personal trainer and schedule your session for free!